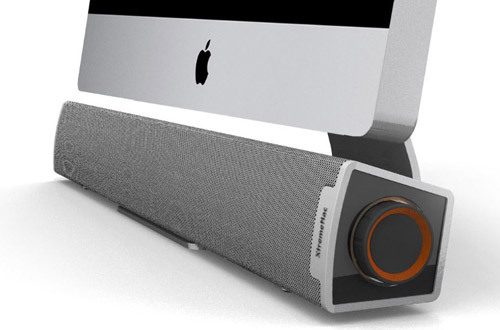 XtremeMac has launched four speaker systems tailored chiefly to iOS and Mac owners. 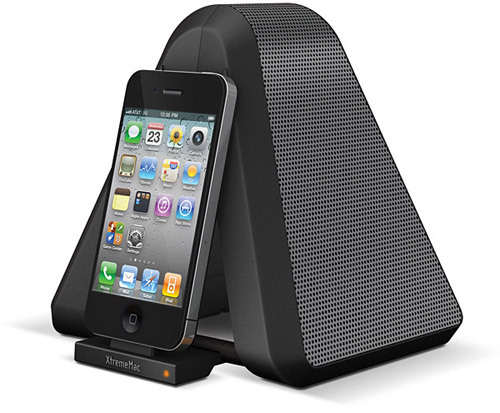 The Soma Stand is rare in having a tent-like design which unfolds to reveal its dock and uses the two speakers as legs. It can fit everything up to iPads and lasts for as much as six hours on removable batteries. The Soma Travel is powered from the iOS device rather than a wall outlet or a battery. 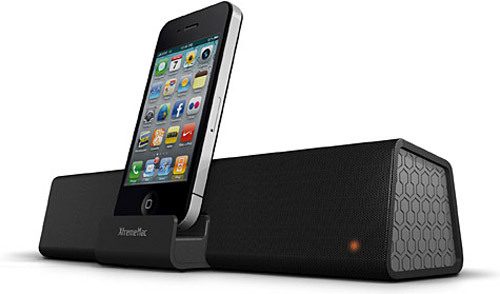 Its dock retracts to save space. The Luna Voyager II, replaces the core clock radio. 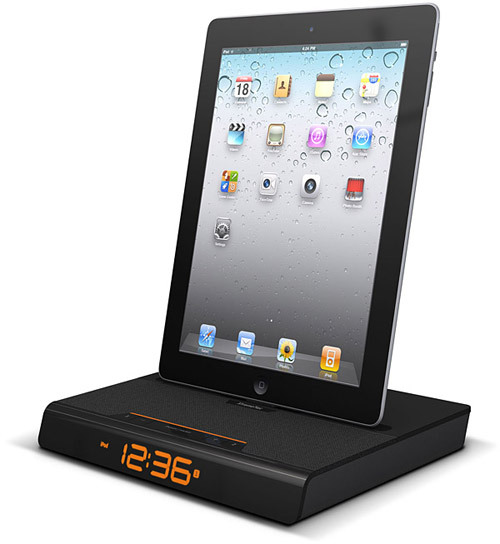 The dock is low and exposed to support an iPad, and it teams up with a Luna Voyager iOS app to more easily set the two alarms, tune the FM radio, and choose presets. The Tango Bar plugs into any Mac or Windows PC but is deliberately shaped to tuck under the chin of a modern iMac, Cinema Display, or Thunderbolt Display. It outputs just 10W of power but has six speakers that include two each of tweeters, mid-range drivers, and passive bass radiators. It can take headphone output as well as line out and a connection to add a discrete subwoofer. No prices have been given, although all should be available worldwide in October.